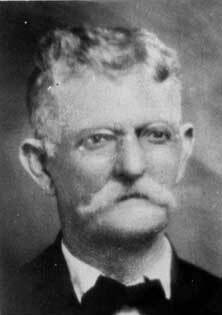 John R Jefferson was born 17 October 1844 in Talladega, AL to Lidia Tines and Campbell Jefferson. He married Lidia Etta Allman in 1875 in Ashville, AL. They had eight children: Daisy Ethel, Wes, Van, Thomas Campbell, Joe, Ellen, Mittie, and Mattie. He died 11 December 1925. Picture submitted by Gerald Jefferson.